On a warm, sunny day there are few wines more refreshing than a bottle of rosé. It is perfect for almost any type of meal: brunch, picnics, appetizers, BBQs, and even fancy dinner parties. Wine and cheese is a ubiquitous cocktail hour pairing, but not every cheese goes well with every wine. When serving rosé with cheese, you need to look for cheese that will pair well with the bracing acidity and subtle berry flavors that are typical of a dry rosé. These five types of cheese are a good place to start. 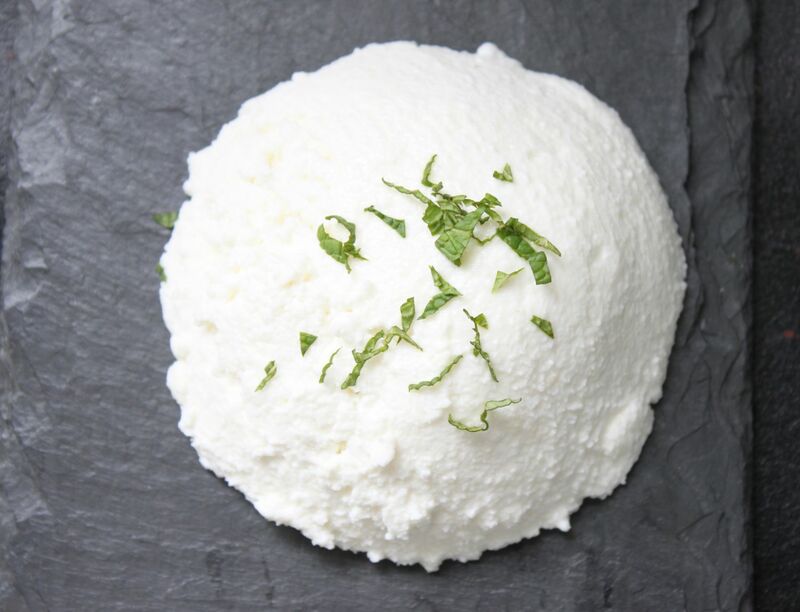 Goat cheese has an acidic, tangy flavor that pairs well with wines that are bright and have acidity, just like rosé. Soft goat cheese pairs best with rosé, but you can also experiment with aged varieties. You can simply eat the goat cheese with crackers or bread, or create a delicious goat cheese toast using berries, avocado, or herbs. Tangy, salty feta is a nice match with the zippy acidity in rosé. The crispy, clean flavor of rosé also helps wipe the palate clean, making it ready for more salty cheese. It is easy to turn a hunk of feta and a bottle of rosé into a simple and delicious meal. Top the feta with extra virgin olive oil and fresh herbs, and serve with good bread. This feta and oregano spread is just the recipe you need. On the side, serve olives,​ hummus, or cured meats if you like. This creamy, rich Italian cheese has a blend of three kinds of milk—goat, sheep, and cow—but it's the flavor of the goat's milk that really comes through. Tangy, earthy, and fresh, this cheese will pair nicely with a rosé that has a hint of fresh berries in the flavor or aroma—perhaps a bottle from California. If you can't find Rochetta, then look for a similar cheese made by the same producer, Caseificio dell’Alta Langha. Delicious options are La Tur, Brunet, and Robiola Bosina. These two Swiss cheeses have a dense and creamy texture and intense flavor from the blend of herbs, spices, and alcohol rubbed on the rinds as the cheese ages. It is the slightly spicy, herbal character of Appenzeller and Gruyere that can pair so well with rosé, especially if the wine has a little bit of spiciness. The flavor of this Spanish cow's milk cheese evokes the grassy Mediterranean hillsides and salty sea-kissed air on the island of Menorca where Mahon is made. It has a slightly sharp bite and creamy texture. Serve Mahon with a side of salami and a well-chilled Spanish rosé. Young Mahon (aged less than four months) is semi-firm and has a mild, buttery flavor. Wheels of Mahon that have been aged four months or more tend to be saltier and have more complex flavor. Wheels that are aged for a year or more have a texture similar to Parmesan and an intense caramelized, salty taste.